ORLANDO, Florida—April 7, 2017 – Abe today announced that Francesco Gadaleta, PhD, former data scientist at Johnson & Johnson, has joined the company as Chief Data Officer. Francesco brings to Abe over 15 years of experience in artificial intelligence (AI) and a passion for using deep learning technology to solve real-world problems. In his role at Abe, Francesco will be responsible for leading the development of Abe’s conversational AI engine and pioneering practical solutions to the challenge of bringing artificial intelligence to digital money management. “Francesco’s extensive experience in experimental and applied deep learning gives Abe a leg up in our mission to streamline personal finance. I believe our customers and end users will benefit immensely from having someone as talented as Francesco working to bring conversational AI to the financial services industry,” said Abe co-founder and CEO Rob Guilfoyle. Francesco began his career as a data scientist researcher at the Catholic University of Leuven, where he developed a machine learning algorithm that detects and defends against attacks to virtual servers. Francesco then conducted data science research at the University of Liege, working at the intersection of medicine and big data. He subsequently worked as a data scientist for the Advanced Analytics Team of Johnson & Johnson, where he developed powerful predictive algorithms for biomedical applications. “Abe provides a unique opportunity to apply innovative artificial intelligence technologies to the financial services industry. Throughout my career, I’ve sought opportunities to use cutting-edge research to solve complex problems, and Abe provides the perfect environment for me to do this. I’m thrilled to join the Abe mission of making artificial intelligence for personal finance a reality,” said Francesco Gadaleta. Abe is an Orlando-based AI software company working at the leading edge of digital consumer financial technology. 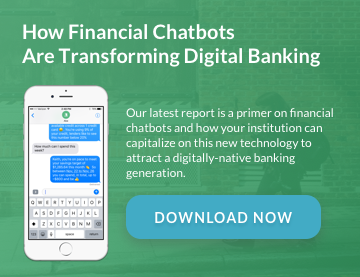 Founded with the vision of enabling better communication between consumers and banks, Abe’s conversational AI platform offers financial institutions a fully customizable personal financial management solution that extends their digital services to leading messaging platforms. Emphasizing a great user experience, Abe’s solutions are easy to implement and maintain.